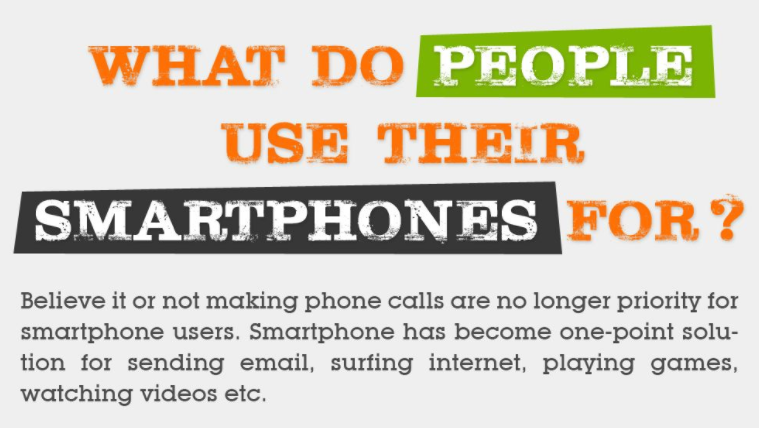 Do you have any clue what all smartphone users do with their smartphones? This is really interesting to know how people make use of their smartphones and which apps they access most. Here is the infographic that answers all your questions. Believe it or not making phone calls is no longer priority for smartphone users. Smartphone has become one-point solution for sending email, surfing internet, playing games, watching videos etc.